Not every location has a source of electricity close by. 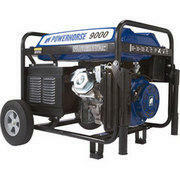 Our generators are available to fulfill the need of providing a source of power to support our inflatable and concession rental customers. Browse the items below and click on the title or image for more information and to make a reservation.